Only 1 mask can be active at a time yet often there is a need to have different masks during the creation process. There a couple of techniques for managing this. You can use a layer to save a mask by converting it to an image. 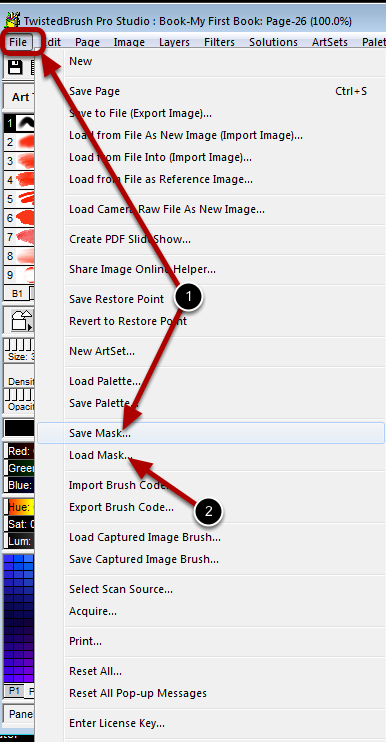 Switch to the layer that you want to save the current mask to and select Create Image From Mask from the Mask menu. Notice that mask is converted to an image and resides on a mask. Also notice that the layer with the mask image has been manually hidden since they are not part of your visual image. 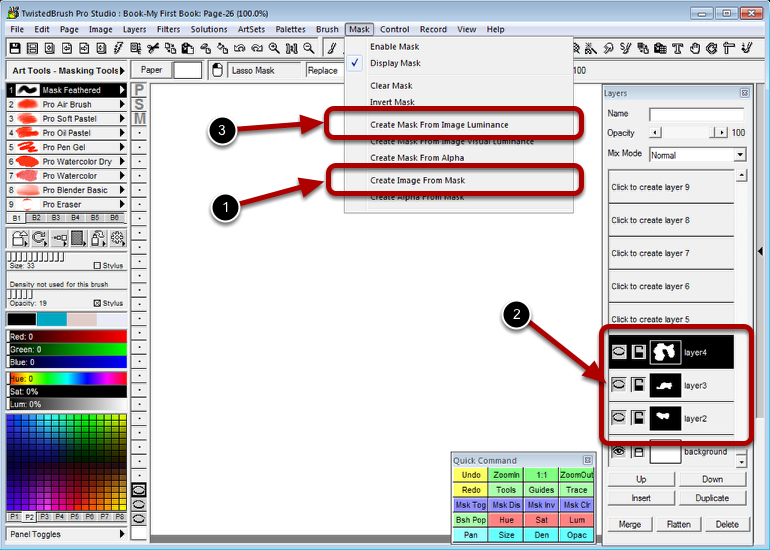 When you are ready to use the saved mask switch to the layer that has the mask and select Create Mask from Image Luminance from the Mask menu. A mask can also be saved to a file. Select Save Mask from the File menu. You will be prompted for the file name. You can later load the mask with the Load Mask menu item from the Mask menu.